This feature is applicable for Payment Form and Shopping Cart. How the Order Update works? 1. You can send notification from the Dashboard to your customer. 2. Nevertheless, your customers cannot reply to this notification. 3. Order Update is designed as a 1 way communication only. If you need to communicate more, you need to contact your customers through other mediums such as email or WhatsApp. 4. Your customers will receive the update in their email. 5. 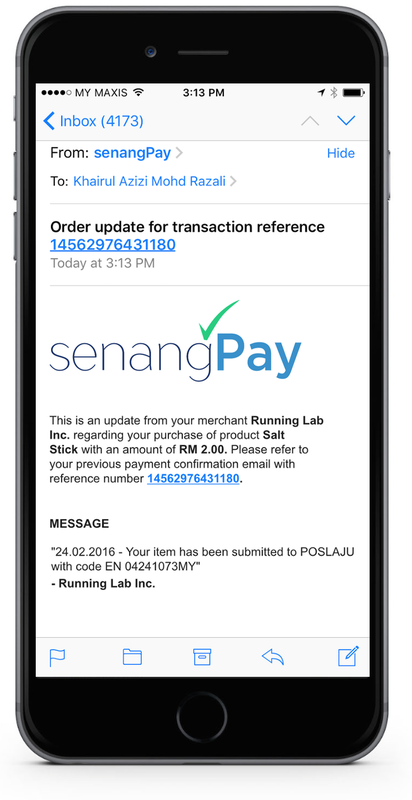 The Order Update feature is only available for the PAID transaction only. 2. You need to add your product first to enable this function or go to your existing product in the list. 3. Go to Menu > Transaction > List. 3. Select the transaction you wish to update. Please take note that only PAID transaction has this function. 5. Insert your preferred update. 6. Then, click the “Submit” button. 7. Now, your customer will receive the update in their email. 8. The update record is also in your Dashboard for personal copy. 9. You can send unlimited update to your customers.